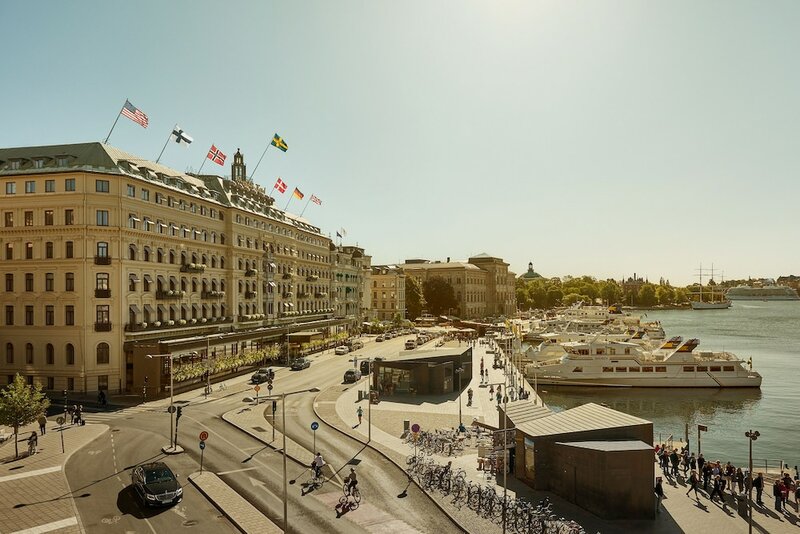 Located in Norrmalm, this luxury hotel is within a 10-minute walk of National Museum and Royal Swedish Opera. Vasa Museum and Stockholm Palace are also within 1 mile (2 km). Kungsträdgården T-Bana is only a 4-minute walk and Nybroplan Tram Stop is 7 minutes. Along with 4 restaurants, this hotel has a full-service spa and an indoor pool. WiFi in public areas is free. Additionally, a health club, a bar/lounge and a coffee shop/café are on-site. All 278 soundproofed rooms provide free WiFi, free wired Internet and pillowtop beds. Comforts include Egyptian cotton sheets and down comforters, and guests will also appreciate thoughtful touches such as bathrobes and slippers. In addition to a full-service spa, Grand Hôtel Stockholm features an indoor pool and a health club. Dining is available at one of the hotel's 4 restaurants, and guests can grab a coffee at the coffee shop/café. A bar/lounge is on site where guests can unwind with a drink. Wired and wireless Internet access is complimentary. Business-related amenities at this 5-star property consist of a business centre and a limo/town car service. Event facilities measure 24886 square feet (2312 square metres). This luxury hotel also offers a sauna, spa services and a terrace. For a surcharge, a round-trip airport shuttle (available 24 hours) is offered to guests. On-site parking is available (surcharge), along with a car charging station. CadierBaren – This restaurant serves breakfast, lunch and dinner. Start your day with a buffet breakfast, available for a surcharge on weekdays from 7 AM to 10:30 AM and on weekends from 7 AM to 11 AM. Room service is available around the clock. Guests can indulge in a pampering treatment at the hotel's full-service spa, Nordic Spa and Fitness. Services include facials and body treatments. The spa is equipped with a sauna and a steam room. Rollaway/extra beds are available for SEK 500 per night. Hotelstars Union assigns an official star rating for properties in Sweden. This property is rated 5 star Superior and is displayed on this page as 5.0 stars.